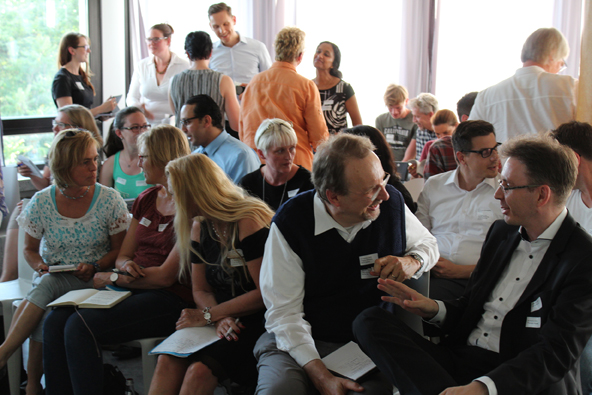 Participants engaged in delightful manner in the Networking workshop June 2017 in Frankfurt. Anja has an elegance and awareness that can only come from a life lived courageously. The experience she shared with us in her workshop about effective Networking was well-structured to reveal the deeper meaning behind her words. She is an excellent trainer, teaching at a very high level and bringing the topics to the point in a practical way. A woman who will be remembered. Packed with valuable and, above all, very practical content, the seminar on negotiation strategies is a real enrichment for my professional life and beyond. 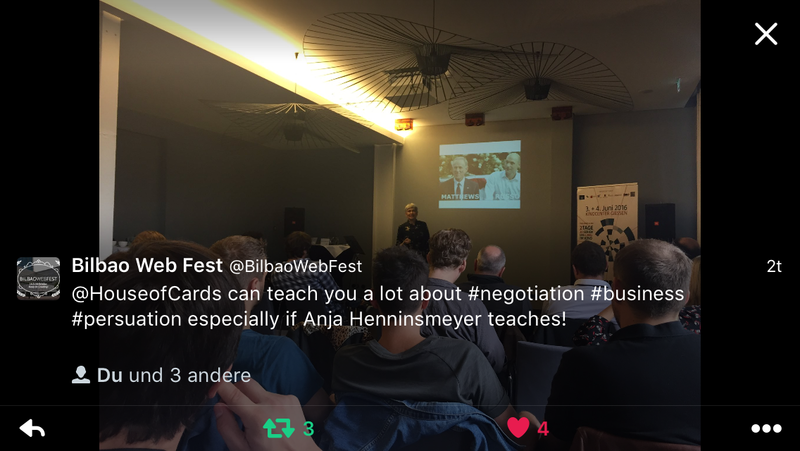 Anja provides strategies and tactics for successful negotiations in a structured, vivid and very entertaining way. For me now it is practice, practice, practice. The beauty of it is, I know how. It was a comprehensive, lively and interesting training! New skills to be used not only in professional negotiations but also in daily life (e.g. parenting!) – Thank you! A very helpful course! As a fresh graduate, it helps me a lot in preparing for job search. In addition, it helps me understand what to prepare and what to avoid in any organizational activities I’m involved, especially when dealing with negotiation issues.